Using the latest build tools we will explore how to incorporate React.js and Flux into an existing large Ruby on Rails application. NPM, Babel, webpack are used in conjunction with webpack-dev-server to offer developers a seemless integration and a rapid iteration while on the Rails stack. I aim to show developers how trivial the integration is and how to quickly get started. 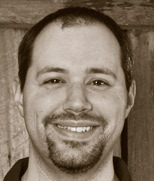 Kevin Old is a full stack, but frontend focused, Senior Software Engineer living White House, TN. He's a huge fan of coffee, micro-roasters and the entire ecosystem around single origin coffee. When he is not developing software he enjoys spending time with his wife, son, 2 dachshunds and cat.